When you can anticipate customer needs, you can provide a customer experience that reduces frustration, increases satisfaction and creates better business results. 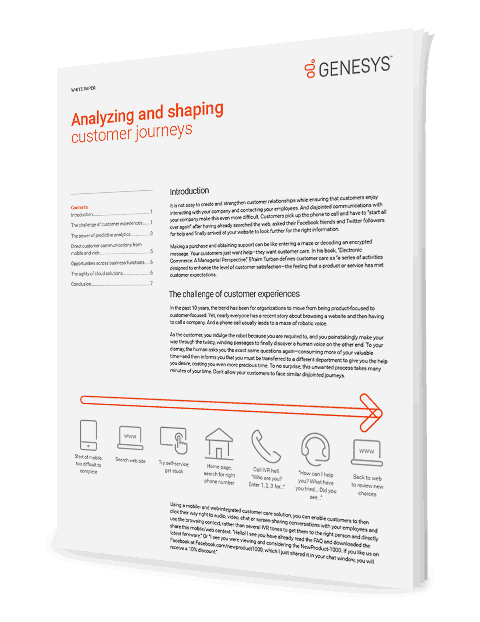 Genesys Altocloud uses live analytics, powered by machine learning, to give you real-time insight into the customer experience. You can anticipate customer behavior, personalize journeys and use feedback to continuously tune your analytics to achieve desired business outcomes.